2.255: Allah is He besides Whom there is no god, the Everliving, the Self-subsisting by Whom all subsist; slumber does not overtake Him nor sleep; whatever is in the heavens and whatever is in the earth is His; who is he that can intercede with Him but by His permission? He knows what is before them and what is behind them, and they cannot comprehend anything out of His knowledge except what He pleases, His knowledge extends over the heavens and the earth, and the preservation of them both tires Him not, and He is the Most High, the Great. 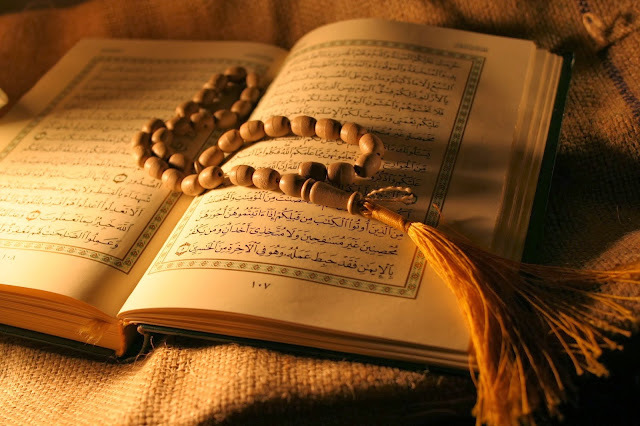 2.256: There is no compulsion in religion; truly the right way has become clearly distinct from error; therefore, whoever disbelieves in the Shaitan and believes in Allah he indeed has laid hold on the firmest handle, which shall not break off, and Allah is Hearing, Knowing. 2.257: Allah is the guardian of those who believe. He brings them out of the darkness into the light; and (as to) those who disbelieve, their guardians are Shaitans who take them out of the light into the darkness; they are the inmates of the fire, in it they shall abide.